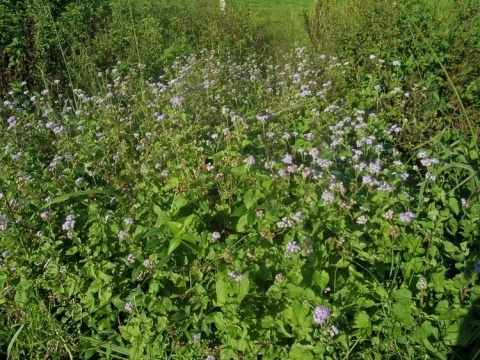 Ageratum conyzoides mexicanum (Sims) DC. Ageratum is a usually erect, and often much-branched, annual plant growing 30 - 100cm tall. C. America, north to south-western N. America - Mexico; Caribbean. An excellent book on Lepidoptera, it also lists their favourite food plants. The removal of dead flowers will extend the flowering season. ]. When large enough to handle, prick the seedlings out and plant them when large enough.